Dubai: The sale of Peggy and David Rockefeller’s private collection, the largest ever to be offered at an auction, drove revenues for Christie’s to $6.85 billion for 2018, the highest in the company’s history. Sales in the Americas increased to $3.6 billion, up 12 per cent, while sales in Asia totalled $815.4 million, up 8 per cent. In 2018, American buyers accounted for 39 per cent of global spend, while 40 per cent of new buyers to Christie’s came from America. The record year was defined by a number of landmark sales. In November, Christie’s sold David Hockney’s Portrait of an Artist (Pool with Two Figures) for $90,312,500, more than doubling the previous auction record for a living artist. In May, it sold Pablo Picasso’s Fillette à la corbeille fleurie (Young Girl With a Flower Basket, 1905) for $115 million. Christie’s saw growth throughout 2018 in virtually every key area: Online sales were up, as were private sales and auctions. Encouragingly, 32 per cent of all buyers last year were new to Christie’s, with spend by this group increasing by 20 per cent across regions and price points. Online sales continue to contribute the highest percentage of new buyers, a statement from Christie’s said, with 41 per cent of new buyers joining Christie’s via online sales, up from 37 per cent in 2017. During the annual Dubai auctions in March, Christie’s saw a new record set for a watch sold in the Middle East: A Patek Philippe reference 1518, made for King Farouk of Egypt, was bought for Dh3.35 million. Elsewhere, the London sale of Middle Eastern Modern and Contemporary Art in October attracted registrants from 18 countries, which the auction house said demonstrated the continued international appeal of art from the region. Large collection sales dominated 2018 for the auctioneers, with $794 million sold across three days at the auction of The Collection of Peggy and David Rockefeller, making it the most significant charitable auction in history. 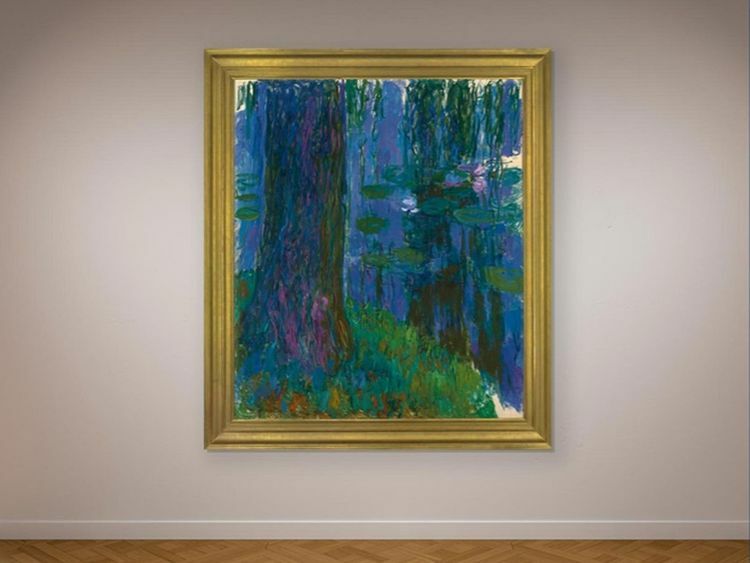 Meanwhile, The Barney A. Ebsworth collection, which included masterpieces by Edward Hopper ($91,875,000), Willem de Kooning ($68,937,500), and Jackson Pollock ($55,437,500), netted a total of $323 million; it was the first auction of its importance to be recorded on a blockchain registry, the company said. And it wasn’t just art that was hot last year: In Geneva, Christie’s sold a once-in-a-lifetime pink diamond, The Winston Pink Legacy, for $50.66 million.